In a reaction letter, the group warned against one recommendation saying that women between the ages of 40 and 49 do not need mammograms, while older age groups need one just every two or three years, reported Global News. “It is erroneous and dangerous to recommend against screening women 40-49,” the letter said. The guidelines also say that physical breast exams, either self-administered or done by a professional, are unnecessary. But breast-cancer doctors and researchers point out that the task force based their recommendations on data collected before the year 2000. “They’re based on studies that are as old as 60 years, that [were] started in the 1960s … using screening methods that we don’t use anymore,” Martin Yaffe, researcher at Sunnybrook Health Sciences Centre in Toronto, told the news outlet. 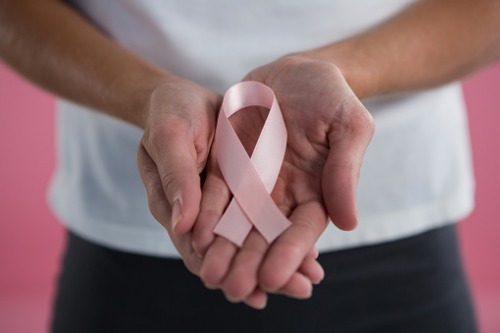 Dense Breasts Canada has also weighed in, saying that the statistics they compiled indicate that women who have mammograms are 40% to 60% less likely to die of breast cancer than those who don’t. But the task force, the group said, placed the number at a mere 15%. In defence, task force member and University of Alberta professor Scott Klarenbach said they used “high quality” data based on randomized control trials. And while he agreed that more recent “high quality” data is lacking, he said the guidelines are still in line with those from the US, the UK, and other countries. The letter also questioned the fact that the guidelines were drafted by doctors whose expertise lay in areas other than breast cancer. Klarenbach, who specializes in nephrology — the study of the kidneys — said this was deliberately done to prevent bias or the appearance of bias in the recommendations. One issue the task force said they grappled with was to weigh the benefits against harms of screening. That included the possibility of overdiagnosis, or finding a cancer that would not have harmed the patient, and increased anxiety among patients as they wait for conclusive test results. “The Task Force has overstated the incidence of overdiagnosis,” the reaction letter countered, maintaining that overdiagnosis occurs in less than 10% of cases and the benefit of detecting a malignant cancer exceeds the risk of finding a benign one. “The Task Force has ignored the issue of breast density,” the letter added, noting that women with dense breasts may need supplementary screening to detect cancers that mammograms could miss. In such cases, Yaffe and other doctors urge women to examine themselves regularly and undergo MRI- or ultrasound-based screening. Dense Breasts Canada has launched a petition asking Canada’s health minister to reject the guidelines.